Lighting is really important part of making a building look really good. You can influence mood and even energy levels by using lighting in a creative way. Here are some tips for improving the way you use light as part of the décor and some ideas to create some amazing lighting displays. The internet is a great source of information and you should use it to learn more about lighting. Take some time and read different guides and online articles on the subject before you start designing any changes to your lighting. Make sure that you also always ask for professional advice from electricians before you start adding new lighting solutions. Getting it wrong can end up being costly so it is essential to be careful. As technology improves it is also going to bring changes to the way we use light. Different automated lighting solutions are really good to consider. This is because it can help make the space much more accessible as well as help cut down the energy costs. For instance, having lights that automatically turn on when you enter the room can mean that coming home late at night isn’t such a struggle anymore. You also don’t need to worry about turning your lights off if they do so automatically when no one is in the room. Lighting isn’t only about giving our lives more practicality. You shouldn’t take it as something that doesn’t need to be thought about and just having a light bulb will do the trick. Beautiful lighting can really make us feel better and ensure that we enjoy the space more. It is also rather affordable idea to use lighting to decorate your house. Creating a decorative piece with LED lights can be much cheaper than purchasing a new handmade bookshelf. 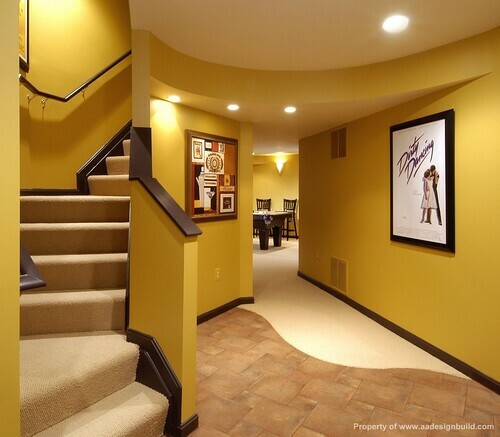 So look for different ways of using lighting to create shapes and images on the wall, for example. You should also consider using different colour lighting around the house. A slight blue hue for example can really bring new feel to your bathroom. Natural light is also really important and can have huge impact on our wellbeing. According to your Orange County Glass Company, If we don’t get enough natural light then we can quickly start achieving less and even become depressed. Traditionally glass has been used to allow natural light flow inside a building. This can be quite expensive especially if you want to have a lot of natural light. The good news is that there are now some new ways of having more natural light flow into a building. ETFE material comes in panel and foil form and is much more cost effective building material. Tips for using it can be found at Vector Foiltec’s site for ETFE panels, for instance. You should also read about the positive benefits of natural light at the Science Daily website. The above tips will hopefully give you some ideas on how to use lighting creatively. It is important to take these ideas on board because it can really help improve your quality of living. Daniel Cook is really passionate about lighting and the way it impacts human behaviour and wellbeing. When he isn’t reading more about the subject he likes to spend time practicing his snooker skills with his friends.